Take note of how these reps are performed since they are 1 1/4 reps. Work on keeping position at the bottom of the squat and driving out of the hole with a good front rack position. Adjust loading as needed between each set and rest no less than 2 min and no more than 4 min between each one. Build up with some sets of 3 to work up to your working weight for this. The set of 15 should be near failure but not to failure. Should have a few reps left in the tank if needed.. Try to keep those hands inside the knurling on the barbell for a true close grip bench. Same rules apply here… each set should be near failure but not to it. Adjust loading as needed on each set to accomplish this but work to keep the weight similar in loading across all sets. 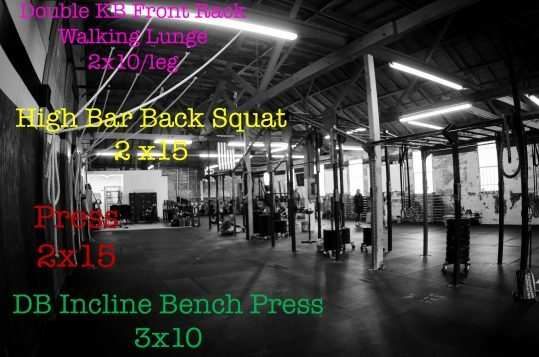 Rest no more than 3 min between each set. If you cant’ get more than 10 reps here do as many as you can without a band, then add a band to get over 10 reps but not exceed 15 total reps. If you can get 20 reps or more without any assistance try adding some light weight to keep you from doing excess of 20 reps on each set. 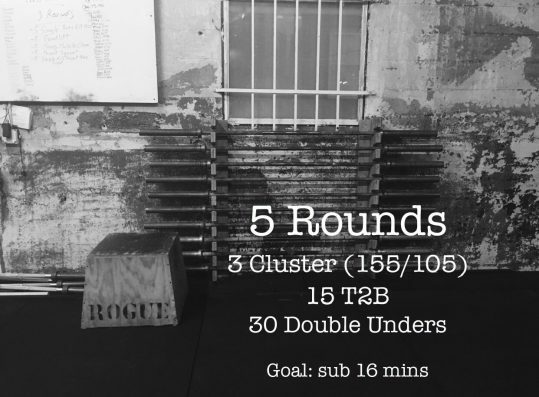 A bit of a mash today with some barbell work and a round of “Nate”. The barbell work isn’t something that should feel very heavy and can allow for you to practice cycling the weight. If you need to break this up to keep your heart rate down that’s fine as well. Keep the loading reasonable so you can easily do touch and go if you want to though. For the round of “Nate” this is going to be a pace you have to push a bit here. 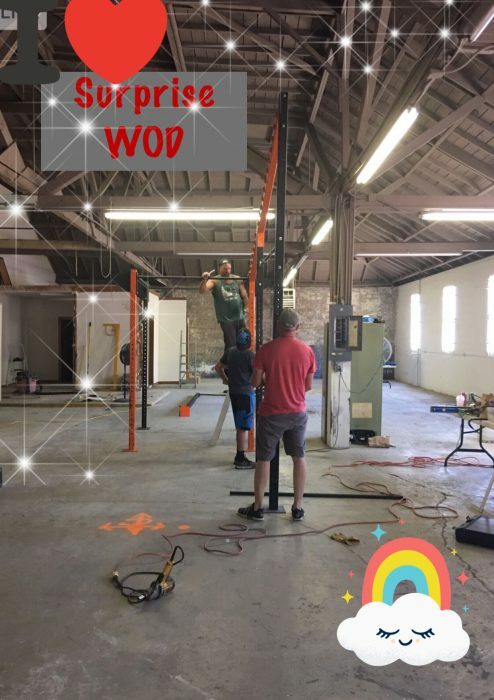 If you don’t have muscle ups go with a CTB pull up or a jumping option today so you can avoid killing time getting in and out of bands. Same goes for the HSPU. Even a strict press here is a good sub so you don’t have to worry about burning time in transitions. 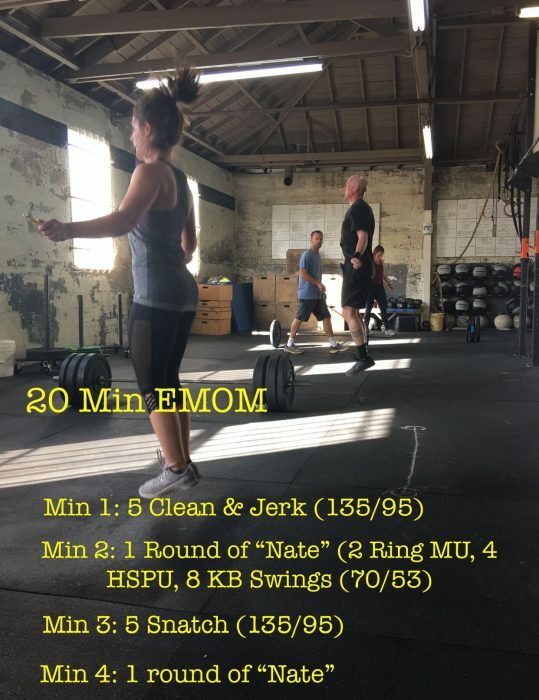 You may take up most of the min here but with the barbell you should have at lest :30 sec to rest before the start of the next min. Mix of movements but something that we should be able to continually work through. 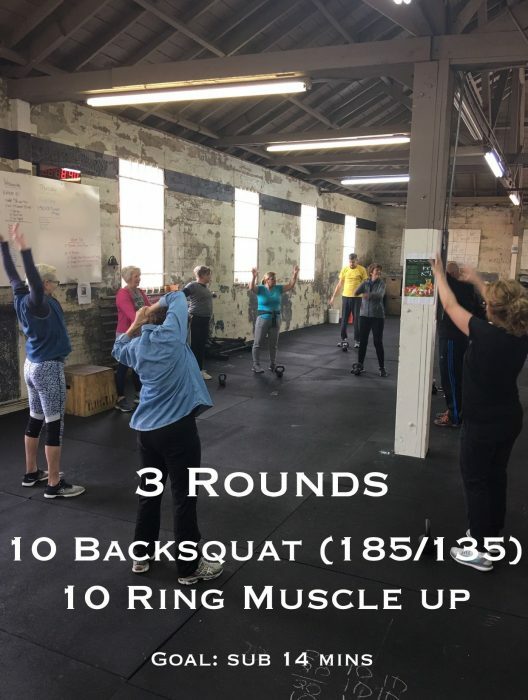 For many of us it’s going to come down to the loading on the deadlift and the reps on the burpee that could cause us to slow down. DL weight should be something that allows you to get to the set of 20 within no more than 3 sets and short breaks. Keep moving on those burpees and try to set micro goals. Simple things like hands down, feet back jump up, etc just to keep moving. A few options. If you’re feeling good, go for it. You can always back off and take the row down by 3 calories and the round of Cindy down by 3 reps on each movement if needed. 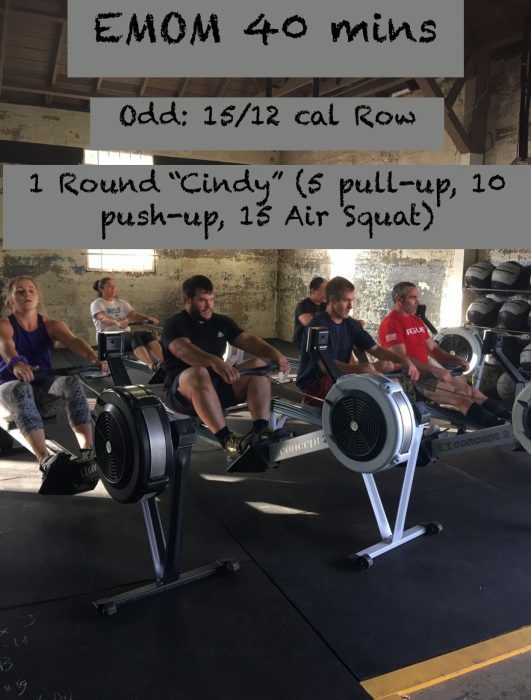 The trick on this workout is rowing hard to complete the work and really pacing out your round of “Cindy”. Quick pull ups and push ups but SLOW squats. 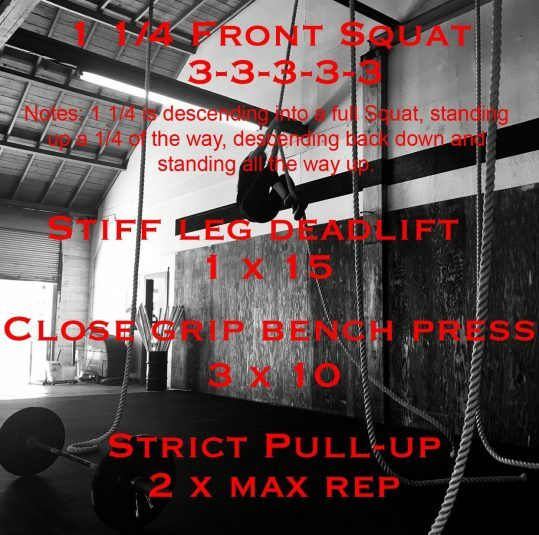 This will keep your heart rate down a bit and save you legs for the rower. 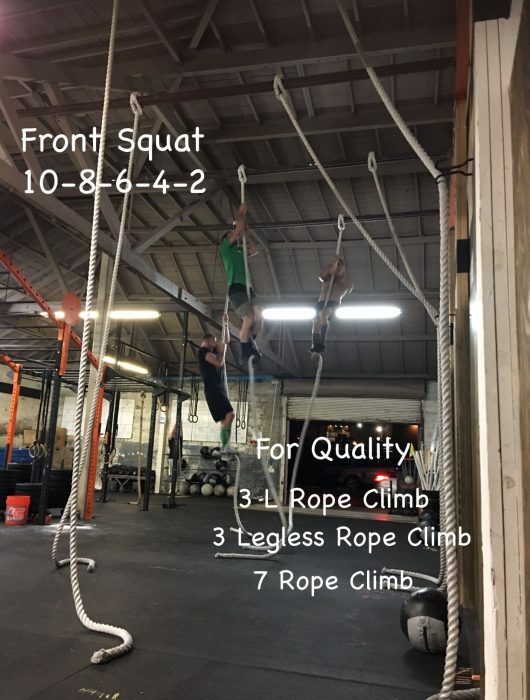 This is a great workout to challenge yourself even if we fall off a bit. Stick with it for the 40 min. Cluster is on the heavier side here so I would suggest singles. 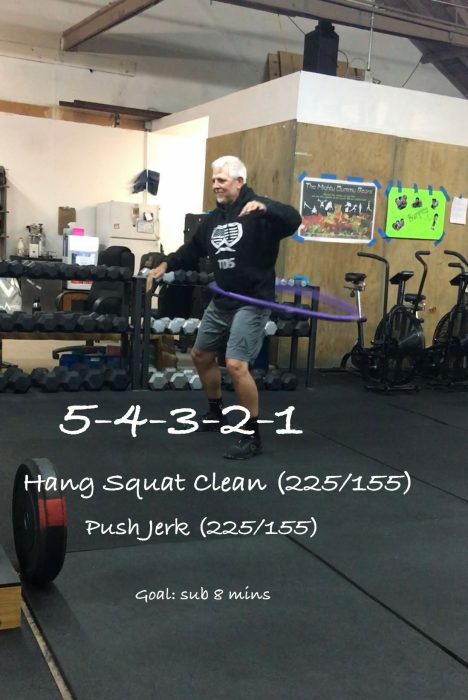 Fight to keep it a true thruster and avoid dropping under the barbell if at all possible. 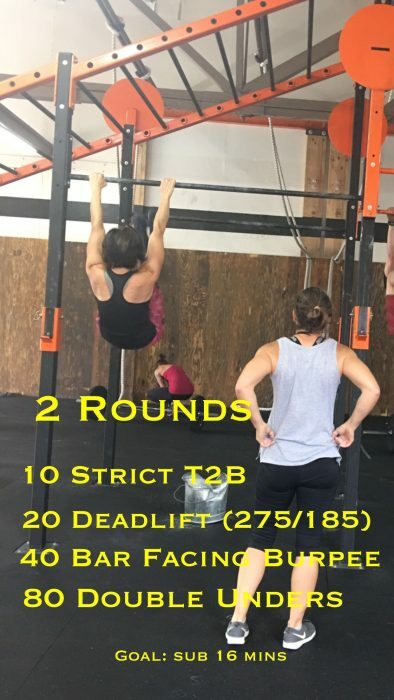 See if you can get the T2B completed in no more than 2 sets and double unders unbroken if possible. Adjust the loading if needed in order to keep position and meet the goal time domain.